It’s been a busy week for stories that involve putting the fans in the driver’s seat in the music industry. 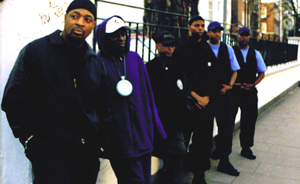 First, it was Glastonbury’s early sell out then I read this story about Public Enemy calling on fans to front money for their next album and giving fans a share of the profits. Both stories have really made me think that maybe I wasn’t that crazy when I started to think about FANS, a concert ticket model that gives concert fans more power and leverage when going to see live music. Take a look at SellaBand, the new business model being used by Public Enemy, and tell me what you think about creating a similar model for the live concert industry. Fans, artists, promoters and label owners: I’d like to know what you think.